Nepal is a country of stark geographical and cultural diversity. The historic center of Nepal lies in the Kathmandu Valley where two of the world's great religions, Buddhism and Hinduism, intermingle in extraordinary old temples and shrines. 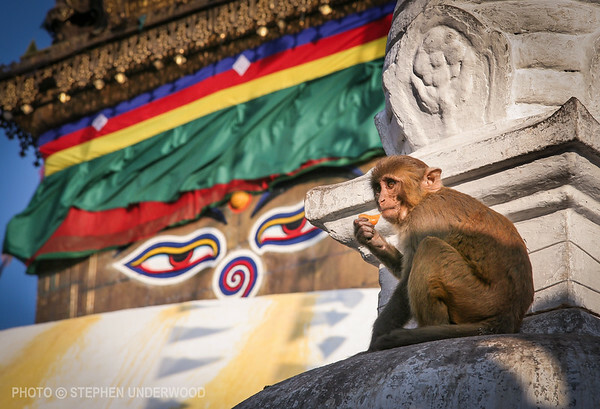 Two major, centuries-old Buddhist stupas in the Kathmandu Valley of Nepal are those at Boudhanath and Swayambhunath. These dramatic and colorful structures have an undeniable spiritual energy. A stupa is a sacred shrine built to a stylized structure that symbolizes Buddhist beliefs. 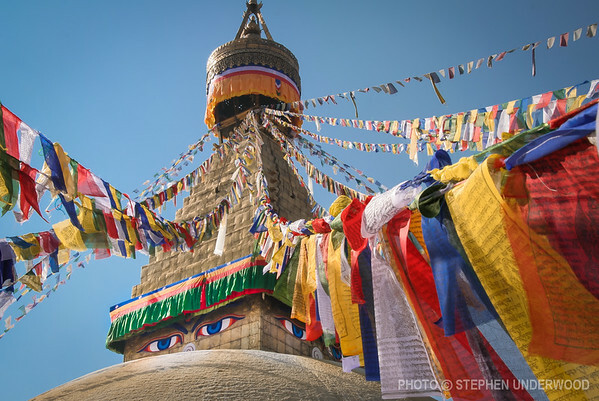 From the top of the monument, colorful prayer flags cast their mantras into the breeze while the all-seeing eyes of Buddha look out in four directions. This ancient stupa, one of the oldest religious sites in Nepal, is sacred to both Buddhists and Hindus. It was likely founded early in the 5th century CE.